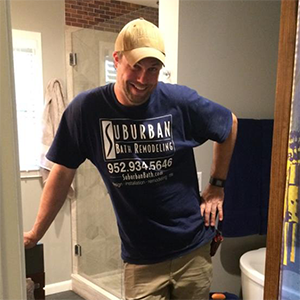 Suburban Tile and Stone, INC. has been independently and locally owned and operated for over 20 years. The President and owner, Brent Magnuson, has years of experience and expertise in the tile and stone industry. Brent learned the trade from his father and it continues to be a family owned business. Thank you for visiting Suburban Bath Tile and Stone and Bath Remodeling. If you have any questions please don't hesitate to give us a call at 952-934-5646, or send an email by clicking here.